Form: Tuscany Photo Tour Registration. Financial consideration for Corbell Workshops Tuscany Photo Tour. Travel Day. This is a day for travel to Rome where we will gather and begin our Tuscan adventure. But before we head out into the idyllic countryside we will spend some time exploring this incredible city with a history over 28 centuries in the making. We will be staying at Romanico Palace Hotel in the heart of the Italian capital. It's central location is just a short distance from Termini train station, Via Veneto, Villa Borghese and the city's most beautiful monuments. You're just five minutes from Trevi Fountain and the Spanish Steps and 15 minutes from the Colosseum. 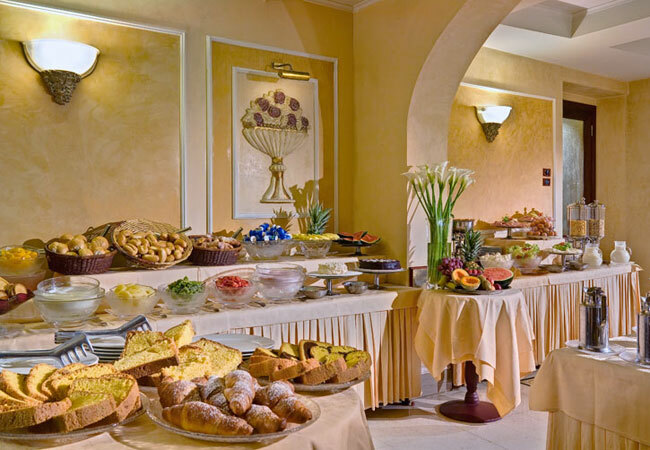 Exploring Rome: Enjoy a delicious buffet breakfast at the Fulvius Roof Garden restaurant. In the morning we meet our guide for a walking tour of Rome. We'll visit some of the most famous squares, monuments, and fountains. Climb the Spanish Steps and stroll over to Trevi Fountain. We'll visit the Pantheon and experience the Fountain of the Four Rivers, Bernini's masterpiece. This is a wonderful way to get your bearings and plan what you want to explore in the afternoon. Enjoy the afternoon exploring on your own but don't fill up on the wonderful Italian cuisine. In the evening we will have our Welcome Dinner in a panoramic restaurant, overlooking Rome and the setting sun. On to Florence. Enjoy a delicious buffet breakfast at the Fulvius Roof Garden restaurant. After breakfast you'll transfer to Rome's Termini station where we will board a high-speed train to Florence Santa Maria Novella station. And, of course, you'll ride in 1st-Class comfort. Upon arrival in Florence we'll have a private transfer to the Corona D'italia Hotel, located in the historic heart of Florence. In the afternoon we'll meet our guide for a walking tour - a great opportunity to become oriented to the crown of Tuscany. You'll cross Duomo Square, on your way to the famous medieval stone bridge, Pone Vecchio. In the late afternoon and evening you're free to explore this magical city. Discover a romantic Italian bistro for dinner and stroll past the Uffizi Gallery under the watchful eyes of history's most famous scholars and artists. Discover Florence. Enjoy a delicious buffet breakfast at the hotel. In the morning we have engaged a tour guide to help us explore some of Italy's most important and renowned sights, the Uffizi Gallery, the Florence Duomo, and the Pitti Palace. All these sights are steeped in history and are all must-see sights. In the afternoon we are on our own to explore the plazas and alleys in this great city. 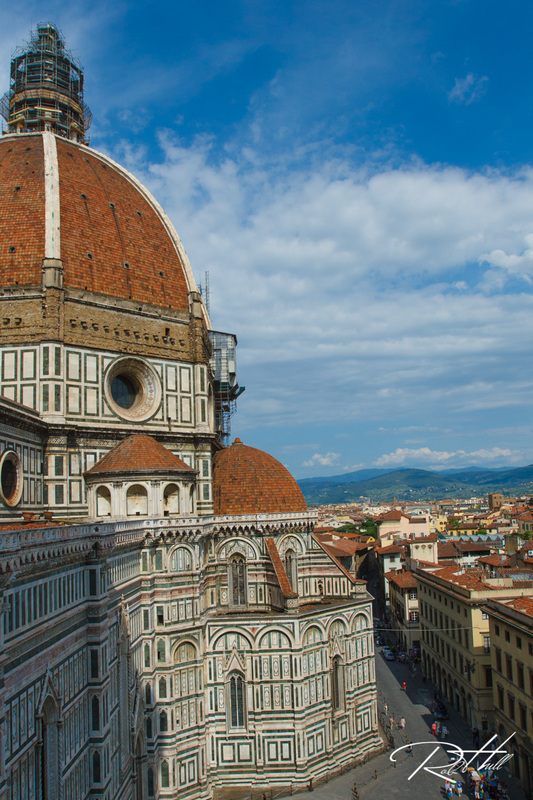 At this time, any photographers can participate in the Florence Photo Challenge. What's that, you ask. It's a secret. But, you'll have a lot of fun and it will be enlightening too. Dinner is on your own but don't plan on eating at 6:30 pm. That's the time the sun sets and you should never waste a great sunset. San Gimignano & Sommelier. Enjoy a delicious buffet breakfast at the hotel. We start the day with a stop at the medieval town of San Gimignano. Here we'll have time to explore the town and also experience a bustling weekly market in the main square. Then it's on to wine country. I know that somebody checked google maps to see where Sommelier was located. We're going to discover the fine wines of one of the most famous wine regions in the world, Chianti, Italy. We'll tour the vineyards and wine cellar of a farm in the heart of the region and top off the experience with a wine tasting. Dinner on your own in Florence. On to Sienna & the Tuscan Countryside. Enjoy a delicious buffet breakfast at the hotel. Today we leave Florence behind and head south, deep into the heart of Tuscany. We will be stopping in Sienna where we'll have a guided tour of this most fascinating city. You'll also have some time on your own to explore the alleys and plazas. Discover the enormous variety of door knockers along the road and stroll across the Piazza del Campo where one of the most famous horse races is held twice each year - and has been for centuries! We end our travels of the day at Camprena Monastery, a 15th century Olivetan Benedictine monastery that is our home for three nights. This is truly a special location with quite a history. The elegance of our other beautiful hotels has been traded in for the simple life and remarkable charm of this wonderful location, frequented by National Geographic photographers and staff and the picturesque setting for many of the scenes in the movie The English Patient, winner of nine Academy Awards. Relax & Enjoy Tuscany. Breakfast is provided at the hotel. Today is a day to relax and enjoy everything Tuscan. For those hearty souls, we'll be up to photograph the sunrise over the countryside. Then, after breakfast, we have time to explore the monastery and get caught up on our photography lessons. In the afternoon we'll explore the countryside. The monastery is nestled between the Park of Val d'Orcia and Crete Senesi - arguably on of the most beautiful landscapes in the world. We cap the day with an Italian cooking class. Learn how the delicious Italian dishes are made and at the end of the class we'll sit down to enjoy the fruits of our labor - and the fruit of the grape. Pienza & Montepulciano. Enjoy breakfast at the hotel. After breakfast, we head out to explore the heart of Tuscany, Pienza and the medieval Montepulciano. Montepulciano is known as a 16th-century jewel and sits high on a hill in southern Tuscany. A major producer of food and drink, Montepulciano is renowned for their pork, cheese and "pici" pasta. And let's not forget, they are known world-wide for producing one of Italy's best wines, Vino Nobile. Pienza means the city of Pius and was home to Pope Pius II. The city is an UNESCO World Heritage site and is a wonderful collection of Renaissance architecture. Feeling romantic? Head over to Via del'Amore (Love Street) or Via del Bacio (Kiss Street). We'll have a guide today but you'll also have plenty of time to explore on your own. Dinner is on your own but you'll have no problem finding charming restaurants. Goodbye to Tuscany. Enjoy breakfast at the hotel. Today we head back to Rome, but on our way we'll stop in one of Rob's favorite towns, Orvieto. The town sits high above the valley floor and is arguably one of the most striking hill towns in central Italy. We begin our exploration in the valley floor and ride to the top on a funicular - an experience itself. The highlight of the town is Orvieto's cathedral with a most dynamic facade. Explore the town. Visit the shops and enjoy a light lunch. We will arrive in Rome in the late afternoon. Sadly, it will be time to say goodbye. Enjoy a wonderful farewell dinner with the group and raise a glass to toast another wonderful Corbell Workshop. Travel Day. Enjoy breakfast at the hotel. Transfer to the airport on your own. We can help make arrangements if you'd like. For those staying on a few days, enjoy the many sights that Rome has to offer. Note: Itinerary is subject to change. Be flexible. To help you plan your packing, I've developed a packing checklist that may be helpful. Also, as you plan for your international trip, you need to consider the electrical service which is quite different than that used in the United States. Unlike North America, most of the world's electrical service is 220-240 volts at 50Hz. In the US, electricity is usually delivered at 120 volts and 60Hz. You'll also find that the outlets look quite different from what you see in your own home. Before we continue, you have to consider what you are bringing. Any device that uses electricity are divided into two groups. Laptop computer, tablet, e-reader etc. My recommendation is to leave any electrical devises at home. You'll usually find a hairdryer in every hotel room or cabin on a ship. 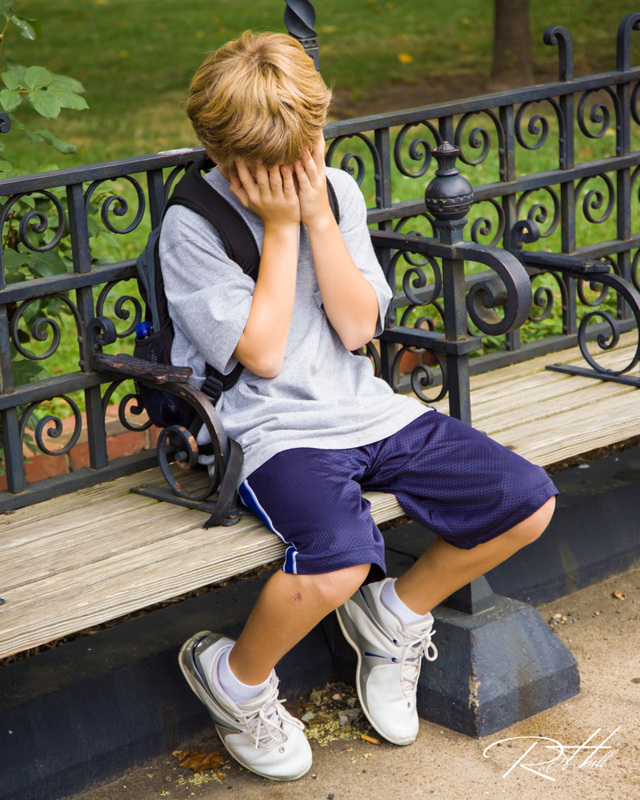 If you really want to bring an electrical device, you'll need to figure out the voltage requirements. If it is a dual voltage device, then all you need is a plug adapter. If not - like most hair dryers, curling irons etc. - then you would need a voltage converter or transformer in addition to the adapter plug. Just know, I've seen hair dryers that were plugged into pretty decent voltage converters and still burned up. For all your electronic devices you'll find that most of them will work at any voltage and all you need is an adapter plug. Adapters are inexpensive and are often sold in kits. You don't need a kit with a transformer and every adapter for international travel. These tend to be an expensive waste of money. 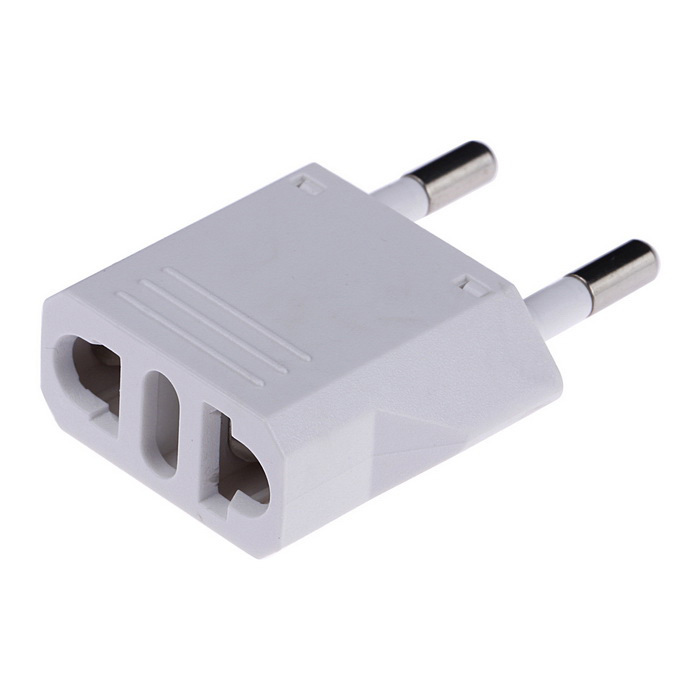 For most of Europe, including Italy and Greece, you'll use a Euro style adapter that is simply two round prongs. If you're going to the UK or Ireland, you'll want to have a Great Britain style three-prong adapter. You can buy these adapters online - REI has a nice selection at www.REI.com - or in your local Home Depot. Home depot has a nifty all-in-one Travel Smart adapter and even one with a USB charing outlet. Use Zelle to pay for your Tuscany Photo Tour. Below is a list of insurance providers that you may want to consider. We do NOT recommend any specific vendor so you've got a bit of homework to do.